(a) Welfare of the members. (b) Adequate means of livelihood. (c) Provide motivation for the students and the children of OBA members studying in SSGK and they are given opportunities and facilities to develop in a healthy manner and in condition of freedom & dignity. (d) To create infrastructure movable/immovable to include all private and public sources of meeting material needs of the association. (e) OBA, with in the limits of its economic capacity and resources, will make effective provisions to help OBA members of weak financial standing in education of their children, and provide assistance in case of unemployment, old age, sickness and disablement in other cases undeserved want. 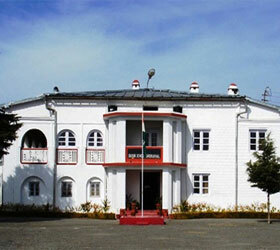 (f) Bring about prohibition of the consumption, except for the medicinal purpose, of intoxicating drink & drugs and smoking which are injurious to health amongst the members & students of SSGK. (g) To include the awareness amongst the members and the student with regards to protection of and improvement of the environment and to safe guard the forest, wildlife, monuments, place of object of artistic or historic interest, to safe guard public property and to abjure violence. (h) Promote peace and harmony in their societies, among the members & students of SSGK and honourable relations with the neighbors. (i) To cherish and follow the noble ideals which inspired our national struggle to freedom and Protect and uphold the freedom. (j) To strive and set example for members and students towards excellence in all spheres of individual and collective activity so that OBA rises to higher levels of endeavor and achievement. (k) To develop the scientific temper, humanism, spirit of reform amongst the members & students of SSGK.